How Low is Too Low with Your Thermostat? When cooler temperatures are forecast in Palm Harbor, Florida, you want to make sure your heat pump is ready for the weather and can keep your home warm and comfortable. Although the climate doesn’t get too chilly in the area, it can still drop below 40 degrees during the coldest time of year. Make sure to keep your system working properly by avoiding these potential problems. One of the problems that could impact your home is a frozen heat pump. This isn’t caused by freezing temperatures outside, but by a problem with the refrigeration process of your heat pump. A heat pump has built-in controls that will automatically defrost the coils to prevent ice from building up during normal refrigeration operation. This process allows the pump to move heated refrigerant through the external coils. However, if the refrigerant level falls below the normal range, the pump won’t be able to defrost, which may cause it to freeze up and stop working correctly. Make sure to have your heat pump checked annually to test the refrigerant level. Other issues that can cause the heat pump to freeze up include a dirty, clogged air filter, accumulations of grass, leaves, dirt, and other debris on the outdoor unit, and blocked indoor vents and registers. These problems can also reduce the efficiency of the pump, causing your bills to spike. 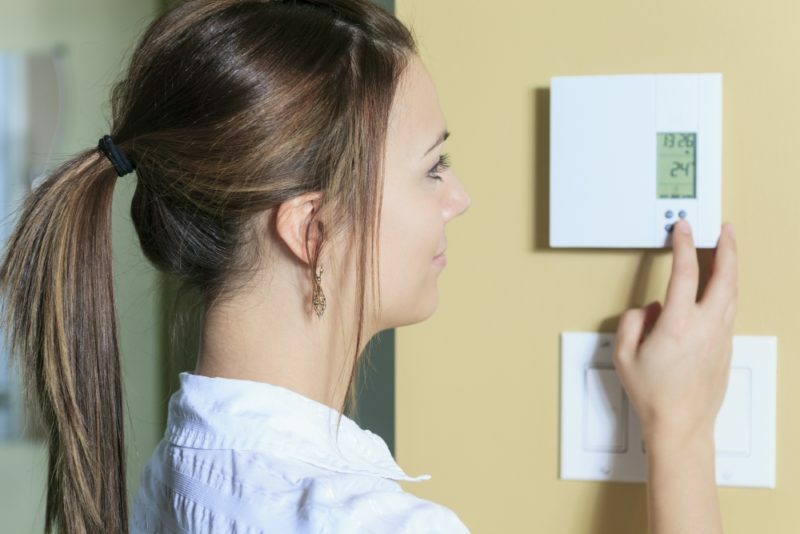 The ideal indoor temperature varies between individuals and their needs. You can trim heating costs by dropping your thermostat by 1-2 degrees at a time, especially when you’re away from the house or asleep for the night. However, adjusting your thermostat drastically when the weather changes suddenly won’t heat or cool your home any faster. It’s best to keep a set schedule and avoid major shifts to reduce the pressure put on your heating and cooling system. At Advanced Cooling Systems, we can help you reduce energy waste without sacrificing comfort by maintaining your HVAC system, so contact us at 866-827-7662.